TUESDAY, Jan. 22, 2019 (HealthDay News) -- The presence of Heberden's nodes (HNs) in finger joints may also indicate structural damage associated with knee osteoarthritis, according to a study published online Jan. 9 in Arthritis & Rheumatology. Arya Haj-Mirzaian, M.D., M.P.H., from the Johns Hopkins University School of Medicine in Baltimore, and colleagues evaluated 575 participants for HNs and knee osteoarthritis with magnetic resonance imaging at baseline and 24 months. The researchers identified 395 patients with HNs and 188 without HNs. Compared with patients without HNs, patients with HNs had more periarticular bone area expansion in the knee joint over 24 months (adjusted odds ratio [aOR], 1.39; 95 percent confidence interval [CI], 1.06 to 1.83), especially in the medial femur (aOR, 1.49; 95 percent CI, 1.05 to 2.13), lateral femur (aOR, 2.51; 95 percent CI, 1.58 to 3.97), femoral notch (aOR, 1.37; 95 percent CI, 1.02 to 1.84), and lateral trochlea (aOR, 1.44; 95 percent CI, 1.08 to 1.90). However, compared with patients without HNs, there was a trend toward less osteophyte worsening in the whole knee joint among patients with HNs (aOR, 0.63; 95 percent CI, 0.40 to 1.02), particularly in the femoral region (aOR, 0.54; 95 percent CI, 0.31 to 0.95). 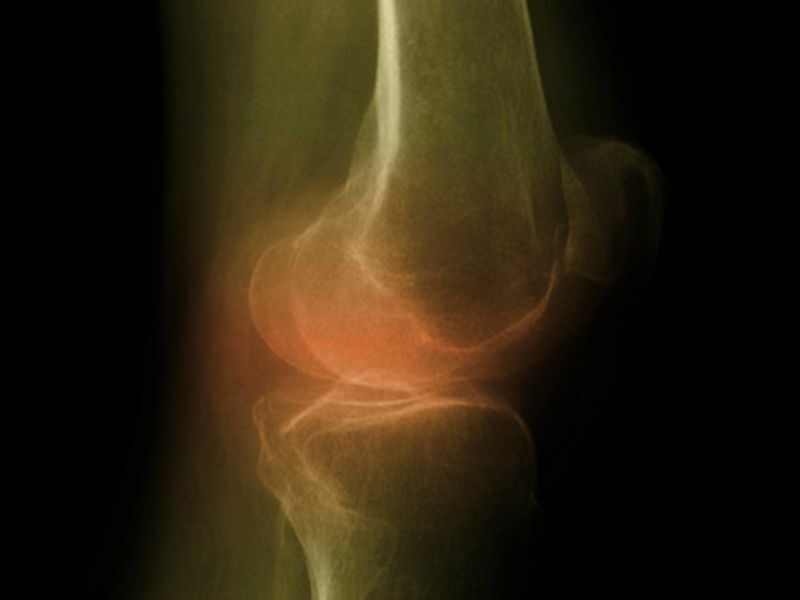 "These exploratory results have motivated us to initiate more focused investigations to further characterize the nodal osteoarthritis phenotype and tailor specific treatments for patients in future trials," a coauthor said in a statement.